SEEK UNDERSTANDING FROM THE STORIES OF THOSE DIFFERENT FROM YOU — Five years ago Leezia Dhalla almost got deported. She was a college junior and had just arrived home from a ski trip when her dad broke the news – in his hand was a notice to appear in immigration court. The notice stated she had overstayed her visa and faced a 10-year ban on reentering the only home she had ever known. Her world swayed as she faced the realization that she was less than legal. Sound bites of from angry immigration discussions echoed louder than ever. In the years since that day Dhalla has drilled into the national dialogue, being published in The Washington Post, Huffington Post, The Denver Post and others with her bold realizations. 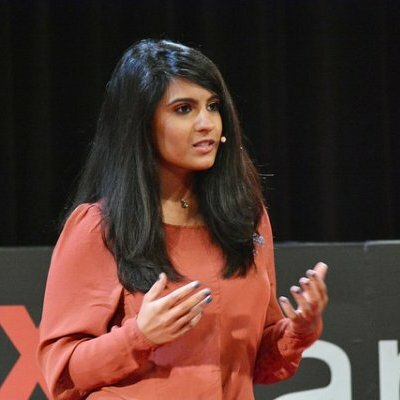 She believes the way we think about immigrants impacts the way we talk about them, and the way we talk about immigrants impacts how we treat them. And, finally, how we treat immigrants has led us to a point where 12 million people – the population of New York City and Los Angeles combined – have been left living in the shadows.